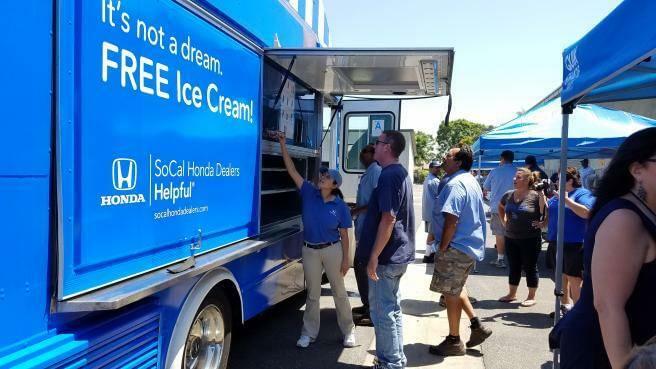 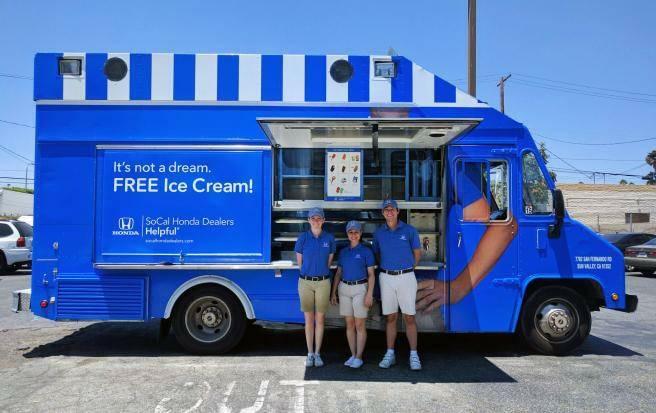 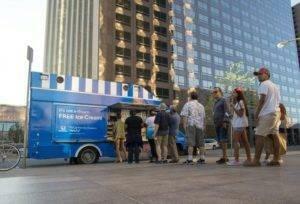 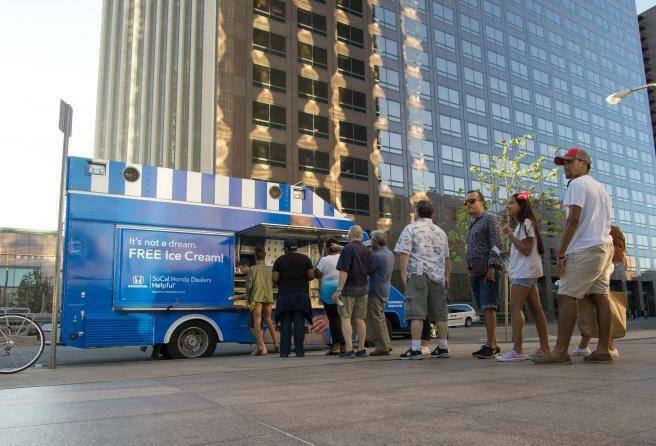 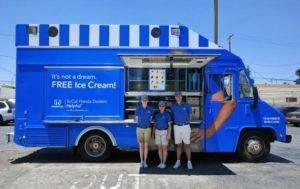 This summer, the SoCal Honda Dealers brought back their tastiest treat: the Helpful Honda FREE Ice Cream Truck! 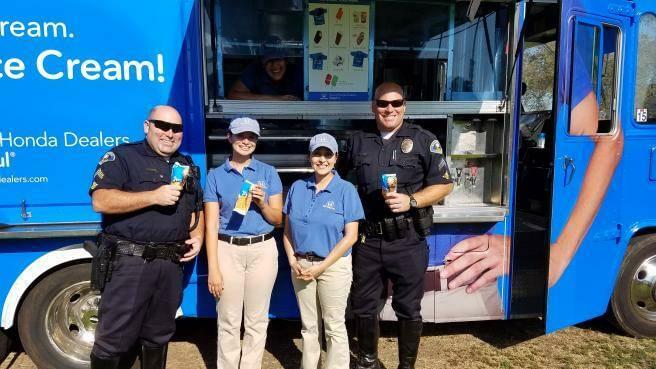 They sent the Guys in Blue and the Ice Cream Truck to various community activities such as parks, sporting events and concerts every week to bring unsuspecting residents a sweet surprise! What’s next? 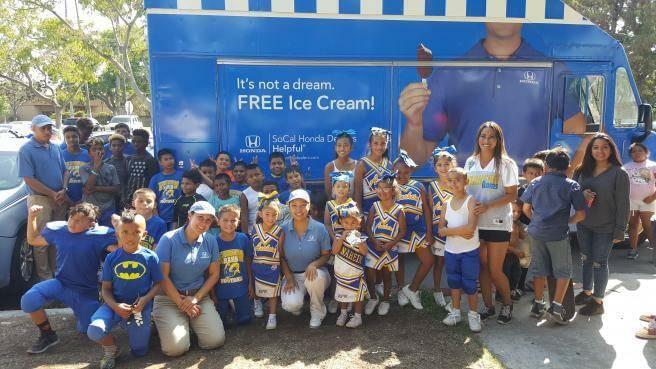 Throughout September, we’re going to be “Helping the Helpful” all across Southern California! The Guys in Blue are visiting fire stations as well as local community organizations and volunteer groups to deliver complimentary lunches to hundreds of hardworking employees who continually give back to their own community. 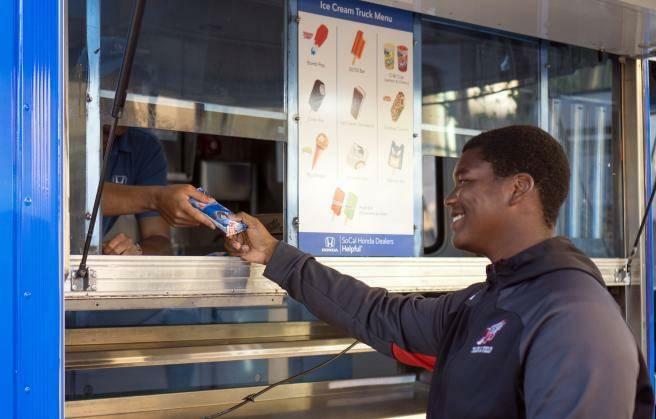 The fall season also means school is back in session, so if you’re going to college, look for us in our blue polos during move-ins so we can help new and returning students carry items to their dorm rooms. 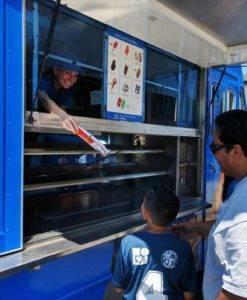 We’ll even have complimentary laundry bags. 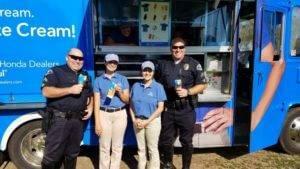 The Guys in Blue are always looking for their next Random Act of Helpfulness. You can share your stories and ask “Help Me Honda” by visiting //www.socalhondadealers.com/help-me-honda. 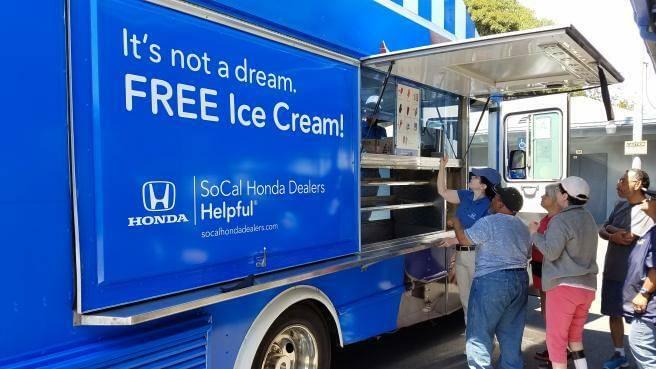 Remember to ‘Like’ us at Facebook.com/SoCalHondaDealers and to follow us at Twitter.com/HelpfulHonda to find out where we’re being helpful next.